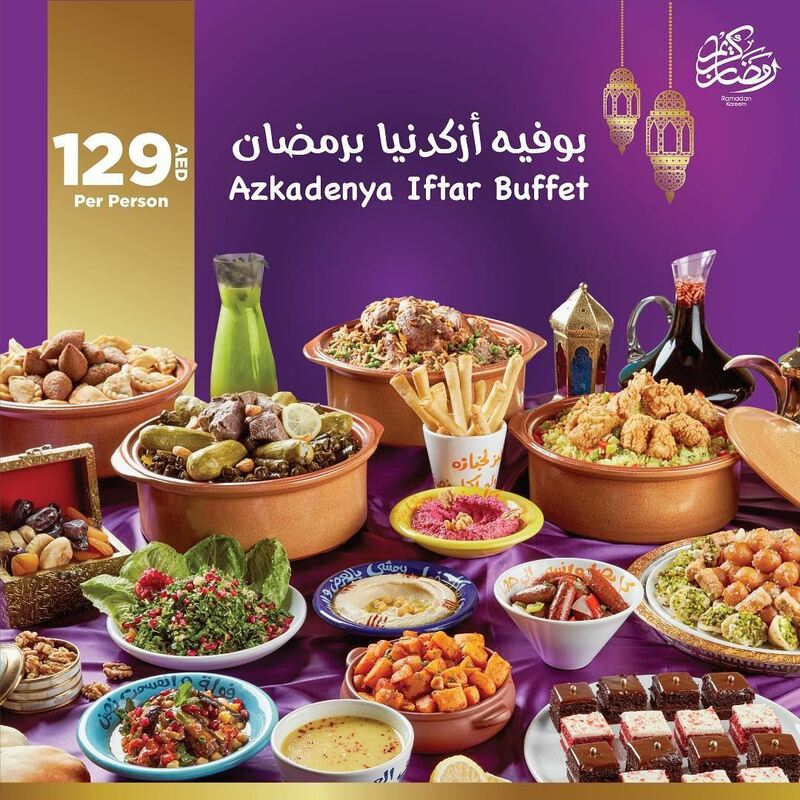 Azkadenya Restaurant in Dubai will be serving an Iftar Buffet during Ramadan 2018 with price of 129 AED per person. For kids below 5, it's free and kids between 6 and 12 years old will have 50% discount. The restaurant is located in Mall of Emirates and Mercato Mall.